When you think of romantic places to explore with your beloved, Ahmedabad is certainly not the first city that comes to your mind, right? You typically associate the largest city in Gujarat with cotton, industrial growth, history, and heritage rather than love and romance. Well, you are not alone; most people think on similar lines. What you miss out on is the romantic side of Ahmedabad that may not seem as pronounced as some of the better known romantic destinations of India. But the fact is that this historic city has some of the most enticing places where lovebirds can let their hearts do the talking even as they soak in the beauty of the surroundings. Feeling excited? Here comes our list of the romantic places in Ahmedabad where Cupid plays his game day in and day out. Imagine sitting with your beloved, hand in hand, overlooking a pristine lake even as exotic species of birds fly around and the setting sun bids adieu to the day. If this idea appeals to you, then Nal Sarovar Bird Sanctuary is your best choice to spend a romantic day with your partner. This large wetland spreads across 120 sq. km. and is home to various species of migratory birds. 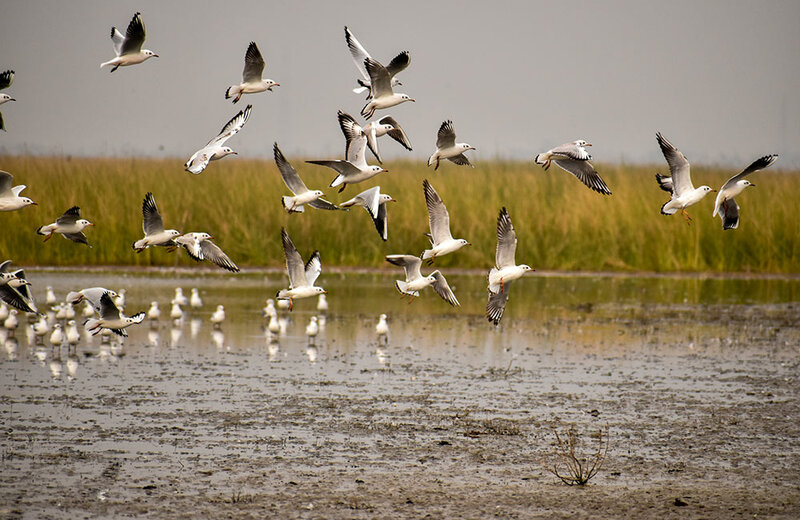 If you happen to explore this destination right after the monsoon season, you will be delighted to find a number of birds that make Nal Sarovar a birdwatcher’s paradise. Counted among the most fascinating places to visit near Ahmedabad for couples, Nal Sarovar Bird Sanctuary offers a lot of attractions for the romantic souls. While at the sanctuary, you can go on a serene boat ride with your sweetheart or enjoy the pleasures of a bird safari. All-in-all, it is among those destinations where nature plays Cupid for the couples. When you are in a picturesque garden that removes you from the chaos of everyday life, and places you in the midst of spellbinding greenery, can you help not feeling romantic? We doubt it! Parimal Garden in Ahmedabad is one such place where you can plan a romantic date with your partner in the company of nature. Full of green trees and colorful flowers, the garden stands as a vibrant spot in the city’s landscape. The place is dotted with fountains, walking trails, colored lights, and stone benches, making it the best couple garden in Ahmedabad. Whether you are looking to spend some moments talking to each other or simply sitting in silence and enjoying the feeling of togetherness, there can be no better place than Parimal Garden. There’s something about rivers that make them ideal places to spend some romantic moments. Need any proof? 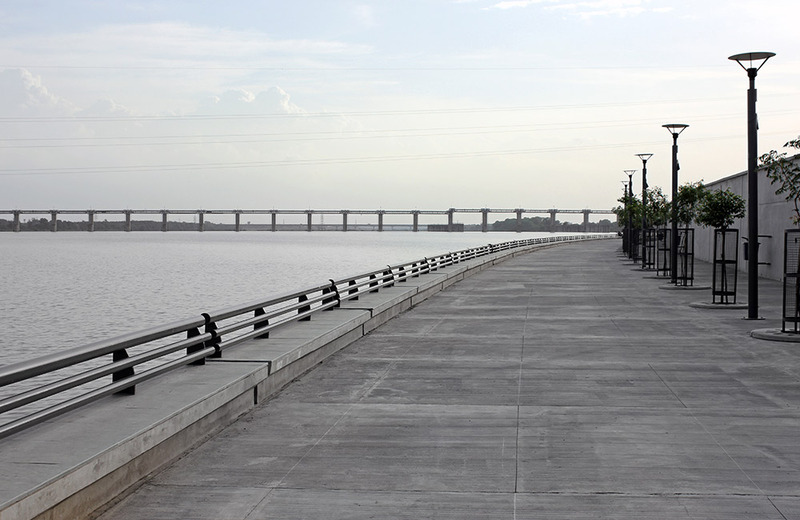 Visit Sabarmati Riverfront with your beau and you will know why we say so. Regarded as one of the best places to visit in Ahmedabad for couples, the riverfront is a lovely picture of serenity. The panoramic view offered by it is a matchless visual experience in itself. Walking along this riverfront in the company of your beloved has its own unique charm. 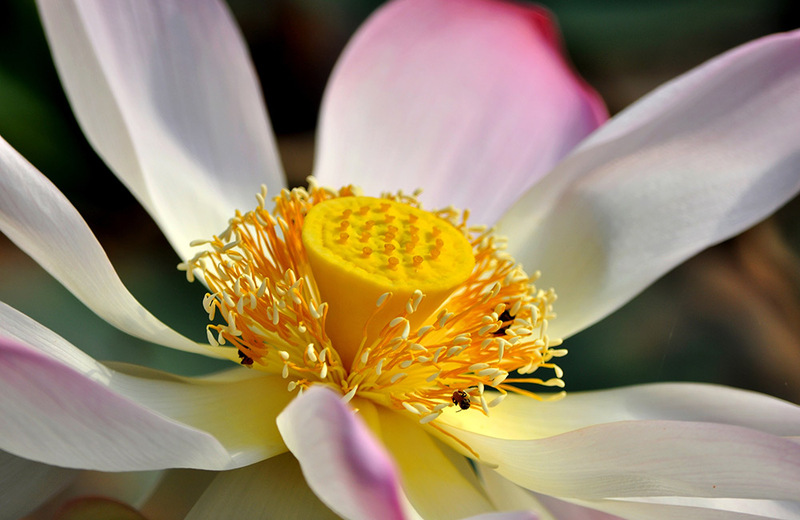 While you get to appreciate the visual delights, you can also spend time at the gardens adorning it. You can even enjoy motorboat rides here, which is often regarded as one of the most interesting things to do in Ahmedabad. Take a relaxed stroll on the pathway at night when the whole area twinkles under the bright lights that add to the romantic vibe of the place. 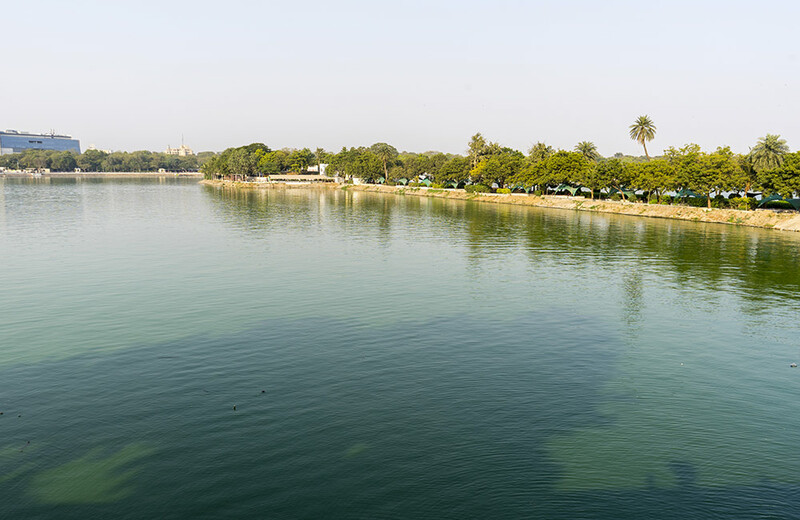 Unlike most other romantic places in Ahmedabad for couples, Kankaria Lake stands steeped in history. It traces its origin to 1451 when this region was under the reign of Sultan Qutb-ud-Din Ahmad Shah II. Today, the lake is a great location for the lovebirds of this city to sit and spend some time together. Among the main attractions of the lake is its light show. Besides this, you both can indulge in many interesting activities, such as enjoying a tethered balloon ride, toy train ride, water ride, etc. While at Kankaria Lake, you can also relish some delicious food at the eateries lining the area. Speaking of food and eateries, do not forget to check out some of the best restaurants in Ahmedabad to get a taste of authentic Gujarati dishes during your stay in the city. Romancing in a historical place is a unique experience, to say the least. If you haven’t experienced such a pleasure, it’s time to do so and Adalaj Step Well is the perfect destination for the same. Located in the village of Adalaj, the step well dates back to 1498. An architectural marvel built by Queen Rudadevi to commemorate the memory of her beloved husband Rana Veer Singh, the step well has witnessed the unfolding of many a love story over the centuries. Now, it’s your turn to make it a part of yours! The majestic structure is one of the most visited couple places near Ahmedabad. You can spend hours on end exploring its lovely platforms, galleries, and carved pillars. The five stories deep step well is also a great spot to capture some memorable photographs against stunning backgrounds. 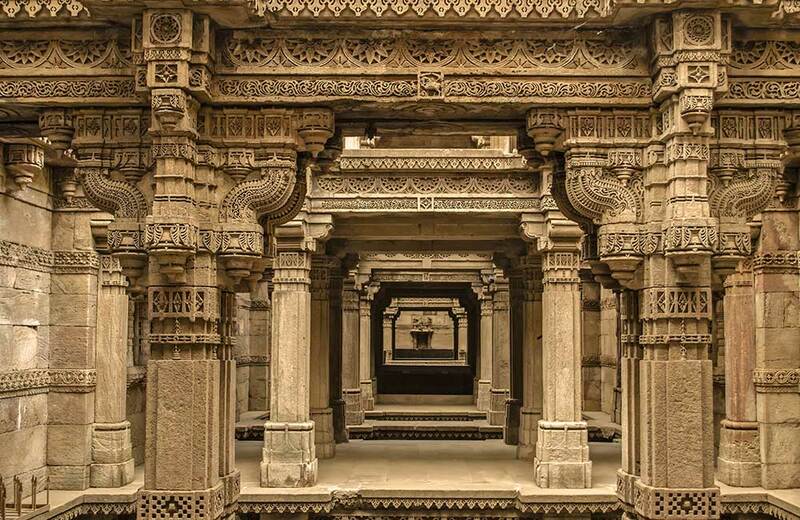 Away from the concrete clutter and congested traffic of the city, Adalaj Step Well promises a new lease of life to the romantic souls visiting Ahmedabad. A tomb complex is perhaps the last thing you would expect to see in a romantic spot, but not when you are in Ahmedabad. For starters, Sarkhej Roza is neither a usual tomb nor an ordinary romantic spot. 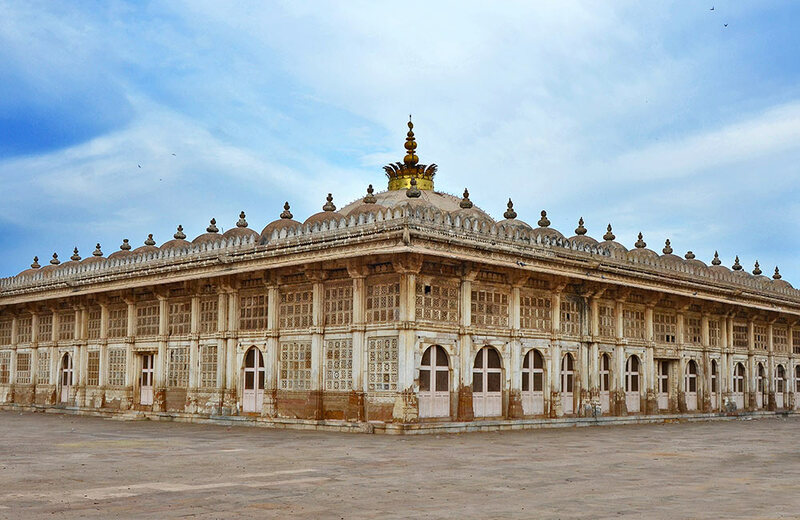 It is a mosque that is known for its splendid architectural beauty featuring Persian and Mughal designs. Designed with intricate latticework, the spellbinding beauty of the complex can leave anyone mesmerized. Interestingly, Sarkhej Roza is also known as Acropolis of Ahmedabad. Thanks to its impressive beauty and tranquil setting, the edifice is counted among the top places for couples in Ahmedabad. If you both love to explore ancient art and architecture, there couldn’t be a better place than this. What’s more, the stunning complex stands around an artificial lake. Do you fancy visiting a grand fort with your beloved and discovering its historic charm? Then you need to make headway for the Bhadra Fort. Built by Ahmad Shah I in 1411, the colossal structure includes tall towers, royal palaces, courtyards, temples, mosques, arched gates, balconies, and several other buildings. What makes this structure the best place for couples in Ahmedabad is the fact that it exudes a certain romantic vibe that is hard to find in most structures built in the present day. And guess what? If local rumors are anything to go by, the fort still has vast riches buried somewhere down there. It is also said that there exist dark tunnels that lead to dungeons within the fort complex. Now, won’t it be really exciting to visit the fort with your partner and try to discover such hidden treasures and tunnels? If not anything, you will find the tunnel to your lover’s heart and a treasure trove of love! 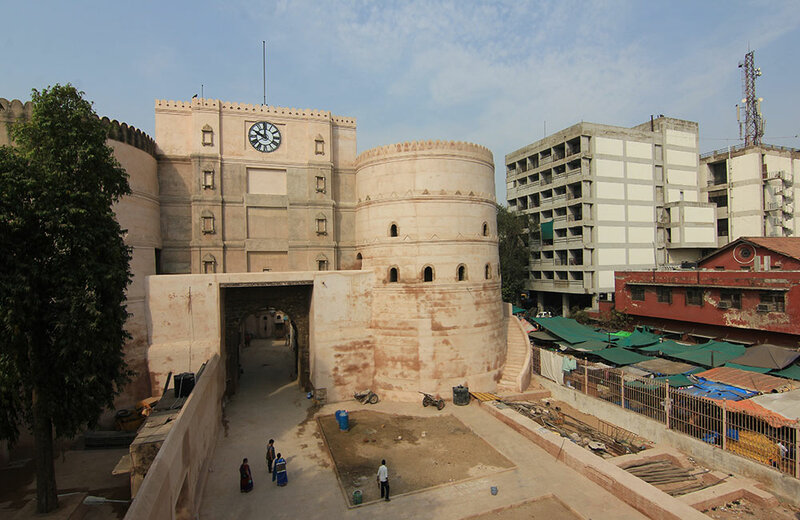 If you have a thing for history and heritage, you can make your pick from the tourist places to visit in Ahmedabad for a memorable experience. The call of the wild never fails to fascinate anyone, whether young or old, including couples as well. 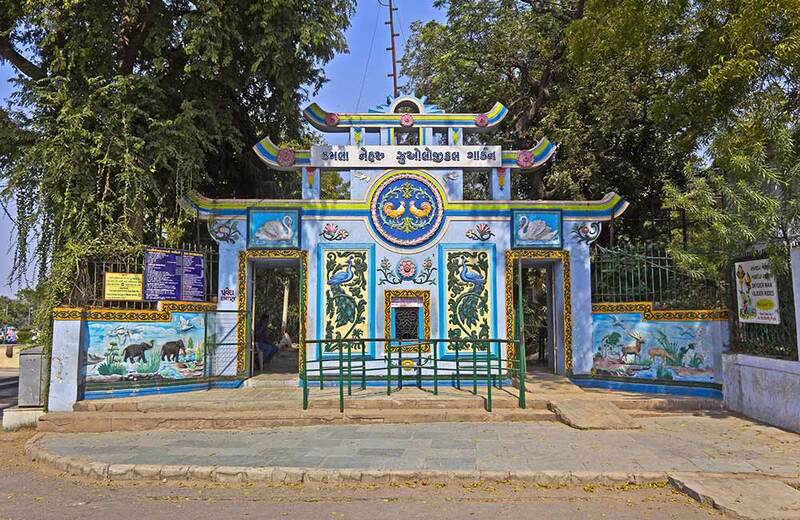 This is what makes the Kamala Nehru Zoological Garden one of the most visited hangout places in Ahmedabad for couples. Established in 1951, it is home to several species of endangered and rare mammals, reptiles, and birds. Spending a day in the lush greenery and spotting animals makes for a thrilling experience. While you are here, you can check out the Butterfly Park, Nocturnal Animal House, Rasala Nature Park, Water Park, NH Museum, and Balvatika. Food and romance make a heady concoction, doesn’t it? 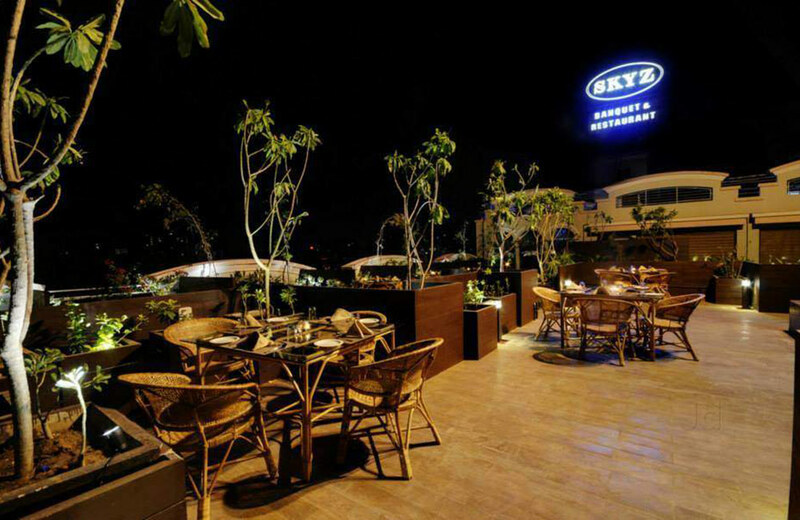 If you are looking for the best restaurants for couples in Ahmedabad, you can’t go wrong with SKYZ Restaurant & Banquet. It is one of the most elegant eateries in the city with a spectacular terrace garden seating. A vegan-friendly restaurant with an impressive menu that includes Mexican, Italian, North Indian, and Chinese delights, the place is perfect for enjoying a cozy candlelight dinner. With delectable treats, live music, and romantic ambiance, this restaurant scores high among couples. Cost for two: ₹ 1000 approx. In the mood for love and food, are you? Well, well, @Mango is one couple restaurant in Ahmedabad that deserves your attention. The pleasant decor of the place is complemented with a live orchestra that sets the mood for a romantic evening. When it comes to food, you can make your selection from both contemporary and traditional recipes. Soups, starters, salads, accompaniments, pizzas, Indian breads, desserts, you name it and @Mango has it all. So head to the place, grab two seats, and let the food add flavors to your love life! 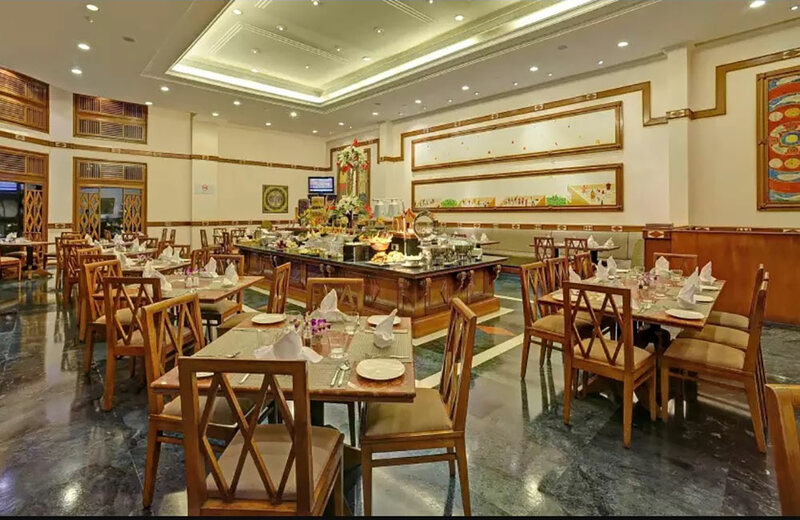 A royal setting, great food, and the charm of candlelight dinner – that’s what Narmada has in store for you. At this restaurant, you will be treated no less than a king and a queen. 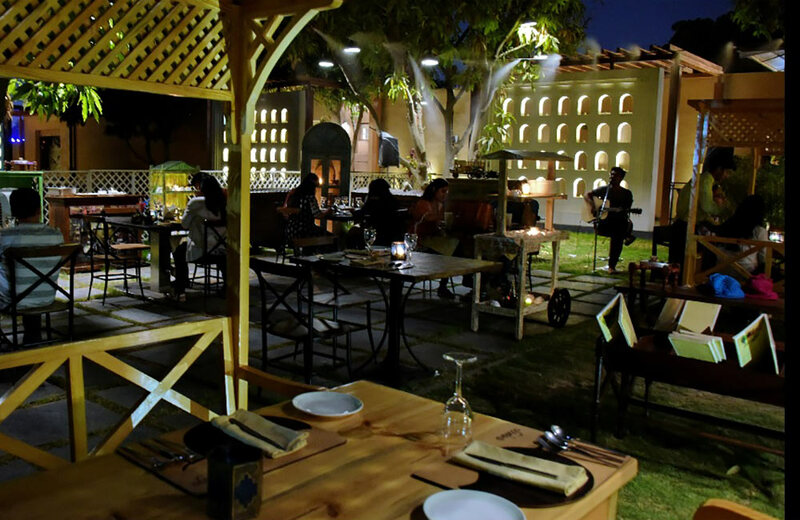 The live instrumental music further adds to the romantic vibe of the place and makes it one of the most amazing romantic restaurants in Ahmedabad. What’s more, you can indulge your taste buds by trying out the amazing Mughali dishes served at this place. Long story short, when you check in at one of the hotels in Ahmedabad, you won’t be short of options to create memories with your beloved. Depending on how you want to explore the city, you will have a plethora of options to select from. For instance, if you are looking to relax and chill out with your partner, the water parks in Ahmedabad are a great option. For those of you who are charmed at the thought of retail therapy, the malls in Ahmedabad are just the perfect dose of happiness for you. Or, you can try out something of everything. After all, it depends on you how you would like to explore Ahmedabad!